Live maker Ableton and DJ and virtual vinyl developer Serato today announced the results of their partnership. First off, this isn’t what many of us originally speculated: it’s not a DJ deck inside Live. Instead, the collaboration seeks to bridge (ahem) the gap between the way DJs perform and the way Live users perform. The result focuses on the way a performance set is assembled in the two paradigms, an attempt to guide the flow of music between the two programs. Here’s how it works. 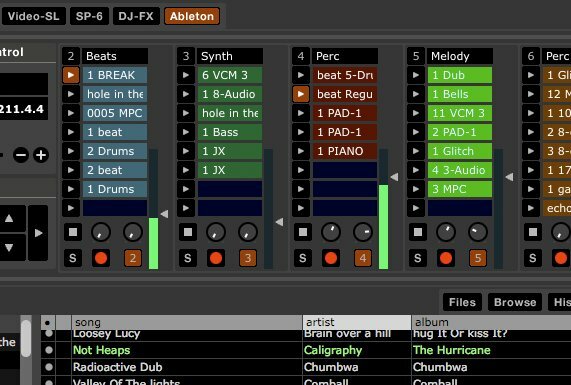 Bring Serato “mixtapes” into Ableton Live: Save a DJ mix – called a “mix tape” – in a Serato product, and export it to Live, and what you get is all of your edits in a form that can be further manipulated in Live. Waveforms and automation data from your DJ session, however they’re manipulated and transcribed by the Serato software, appear in Live. Put the Ableton Live Session View “inside” Serato: Here’s where things get in interesting. Rather than put Serato inside Live, we’re getting Live inside Serato – after a fashion. Ableton Live runs in the background. 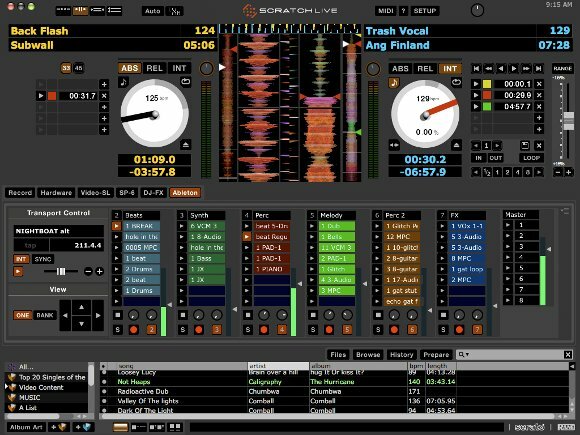 Integrated into the Serato interface (as seen at the screenshot at top) are all your Session View clips from your Live Set. Serato’s control – via audio input from vinyl or CDJs, or an ITCH control surface – manipulates the entire transport of the Live set. Unknown: Turntablists are probably wondering, can they scratch Live? How much are those Live clips able to do? Do they behave as they do in Live? (As far as I know, yes – Live is, after all, running in the background and appears to have its normal capabilities.) I’ll work on these questions with Ableton and have an update by tomorrow. ITCH: Yes, you can use controllers that support Serato’s ITCH, not just vinyl or CDJs, in order to control the transport of your imported Live set. Naturally, all of this begs the question: do you really want to do this? And I expect that question is about to get turned over and inside out all over comments here on CDM and around the Web. It’ll naturally depend a lot on who you are. Side note: check out the VIDEO-SL integration. That makes this all even more interesting as an a/v, virtual vinyl environment; see our ongoing coverage of VIDEO-SL and other vinyl visualism for Create Digital Motion.